DFW Property Managers We Want Your Business! WE OFFER COMPETITIVE PRICES WITH “WOW” RESULTS! 214 Pressure Washing is the retail strip pressure washing leader in the Dallas-Fort Worth Metroplex! We work with many property management companies and offer customizable packages to fit any budget. If you have soiled and neglected exterior surfaces around your property that needs to be restored, we have a wash solution for you. The key to keeping your retail strip looking the best at all times is by being proactive and enrolling in one of our routine cleaning packages. We offer bi-weekly, monthly, quarterly and semi-annually cleaning packages that are built around your budget and needs. 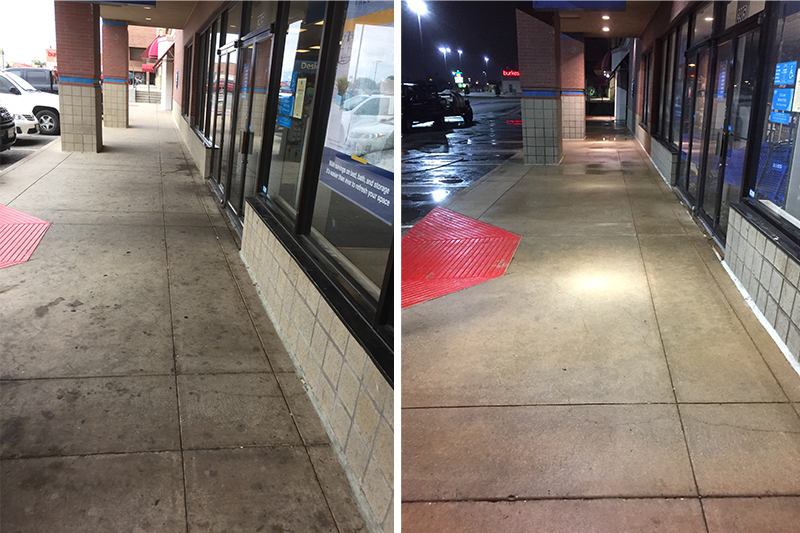 We provide our retail strip pressure washing service after hours so customer traffic is not impacted. The pricing structure we use for retail strip pressure washing is based on service desired and total scope of work. The total square feet, level of service desired, number of water sources and the frequency you want the surface cleaned all play into the price. While our price might not be the lowest, we can guarantee that no one in the DFW Metroplex can match our results and level of professional for the price we quote. Our prices are competitive but our results are industry leading!